Washington, Jan 21 (IANS) Democrat Kamala Harris, the first Indian-American to serve in the US Senate, launched her campaign for the White House on Monday while appearing on ABC’s Good Morning America. In a brief video from her campaign that was released on the social media at the same time she appeared on the show, Harris called on her supporters to join with her to “claim our future”. She made the announcement on Monday — America’s Martin Luther King Jr Day holiday — to honour the legacy of her hero. “They’re the values we as Americans cherish, and they’re all on the line now,” Harris said. 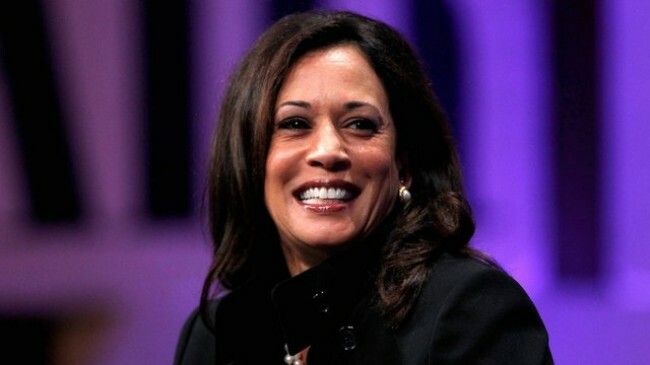 Harris’ announcement followed the entrance of her fellow senators Elizabeth Warren of Massachusetts and Kirsten Gillibrand of New York in the presidential race. Harris said the time had come to fight against what she called “the injustices of the past two years of the Donald Trump presidency”. She has accused Trump of stoking racist and xenophobic rhetoric, while aligning his administration with white supremacists at home, and cozying up to dictators abroad. She said that the needs of the middle class had been ignored, citing the federal shutdown over the President’s “vanity project” — a border wall — as the latest example. The Senator had earlier turned up the heat on the President by blasting his insistence on holding out for funding for his border wall before reopening the government — comparing his behaviour to how her 11-year-old godson might have behaved with his toy train. Harris’ campaign will be headquartered in Baltimore – giving aides an East Coast hub in a racially diverse city that has struggled with wide income disparities – and Oakland, where Harris was born to immigrant parents who came to the US to advance their academic careers, CNN reported. In 2010, she narrowly beat her Republican opponent to become California’s Attorney General. Six years later, she was elected to the Senate, where she became the second black woman ever to serve in the chamber.